Are you planning for an eCommerce store? And do you need any help? Today a lot of Magento Hosting companies are available. 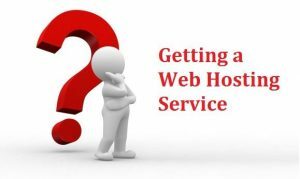 So special attention should be taken before choosing your hosting. Always try to choose a provider who offers 24 hours support. Because for an online business if any issues occur it should be solved with no time. Otherwise, it will result in a business loss. A lot of competitors are available at the finger tip. So chances for losing a customer is high in online businesses. We Aspiration Hosting always holds uniqueness in Magento Hosting. We offer Magento 1 and 2 optimized cloud Hosting. You can grow your business with Magento Hosting solutions by Aspiration Hosting. Aspiration Hosting uses SSD storage with our speedy 10Gbps backend network. SSD is the latest storage method. This is one of the major Magento Hosting Solution we deal with. SSD offers high-speed performance when accessing random data. Old hosting uses HDD which is very slower than SSD. It also deals with high-speed data transfer. High reliability and stability are the other important merits of SSD. Our in-house Aspiration Cloud guarantees redundancy and 99.9% uptime. For an online business, no website can afford downtime more than few seconds because it will badly affect their business. Redundancy in data will leads to uptime. Once a request from a visitor occurs the request will move to the nearest server and fetch the data with no time. We have our server locations at various places like U.S, U.K, Singapore, and Sydney. This helps us to assure 99.9% uptime. Aspiration Hosting team includes well expertise engineers who can handle the Magento related issues quickly. We offer 24/7/365 technical support. Our technical department is live always and will take care of your business once you become our customers. Along with this, we also offer web development support. We believe in customer satisfaction and you can check the customer reviews on our website. We offer 3 web hosting Plans and they are Basic Plan, PRO Plan, and Plus Plan. Click here for more details. Similarly, we offer cloud servers with 3 range of packages like 4GB cloud, 8GB cloud, and 12GB cloud.